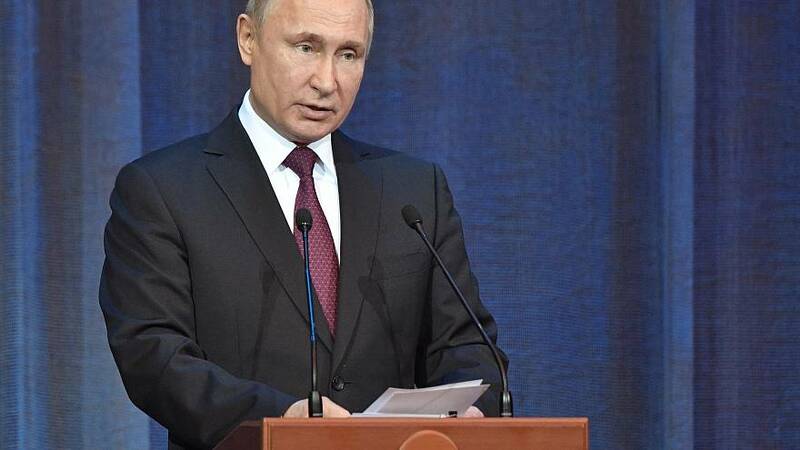 President Vladimir Putin announced Saturday that Russia will suspend a key Cold War-era missile treaty with the United States following the Trump administration's move to withdraw a day earlier. President Donald Trump said Friday that the U.S. would be pulling out of the Intermediate-Range Nuclear Forces (INF) Treaty, blaming Russia for breaching the pact. Moscow has denied the allegations while accusing Washington of violating the treaty and calling for inspections of U.S. arms. The 1987 treaty, signed by President Ronald Reagan and Soviet leader Mikhail Gorbachev, bans deployment and required the destruction of ground-based missiles with a range of between 310 to 3,410 miles. The pact mitigated weapons that had become a point of crisis during the Cold War and has been viewed for decades as a model for arms control agreements between major powers.